5-mile (upto 8 Kilometers) range, 22 channels, 38 privacy codes. 10 audible call tones, talk-confirmation tone. Audible low-battery alert and battery meter. 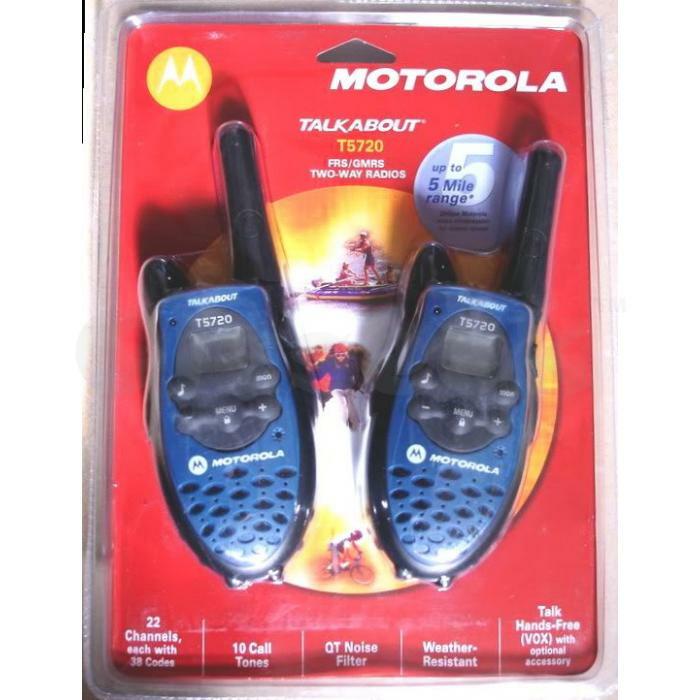 Voice activation (VOX) when used with optional accessory. GMRS/FRS channels : 7 (1-watt each). FRS channels : 7 (.5-watt each). 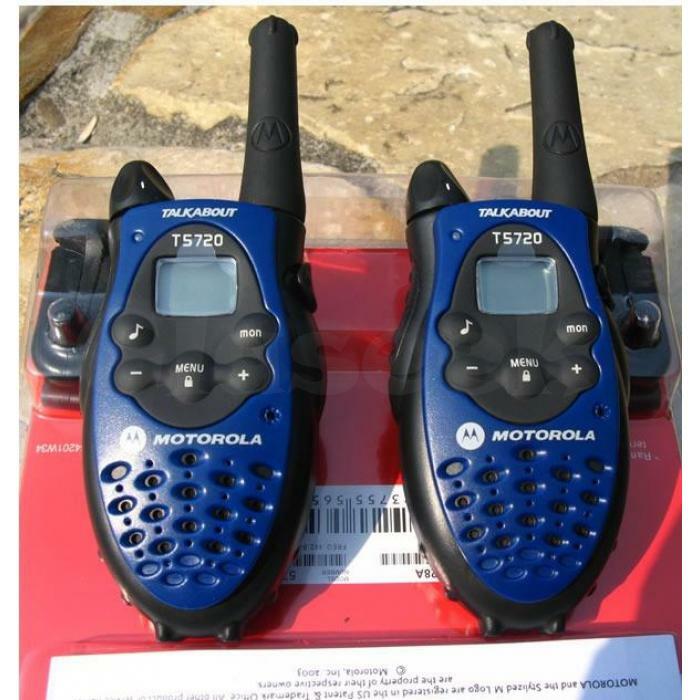 GMRS channels : 8 (1-watt each). Transmit power : 1 watt. Audible call tones : 10. Talk confirmation tone : Yes. Battery meter indicator : Yes. Audible low-battery indicator : Yes. Audio output : 1 stereo minijack (.125-inch). QT noise filter : Yes. 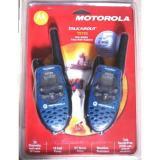 Paket penjualan : 2 TalkAbout T5720 radios, 2 packs AA alkaline batteries, 2 swivel belt clips, stand and a users manual. Kami juga menawarkan penjualan alat-alat survei lainnya, seperti Total Station, Digital Theodolite, GPS, Aksesoris, dan Spare part peralatan survey, jasa rental alat, kalibrasi, dan service alat survey.